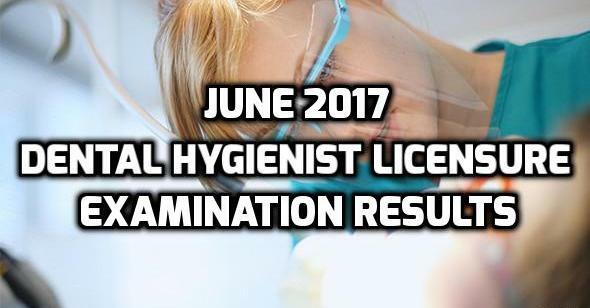 The latest shared information by the Professional Regulation Commission (PRC) revealed the results for the December 2017 Dentist Licensure Examination for the Written Phase. According to the commission, 1, 484 applicants took the scheduled board exam last December 4, 2017 and 762 passed successfully. The Board of Dentistry of PRC administered the licensure examination held Manila, Philippines. Dr. Roberto M. Tajonera headed the board (OIC), and assisted by designated members Dr. Melinda L. Garcia, Dr. Maria Jona D. Godoy, Dr. Rainier F. Reyes and Dr. Gloria M. Bumanlag. As detailed from the official website of PRC online, it is important for the passers to compensate the required practical examination fee at the office of the commission amounting to P400.00. The will have the practical exam on this coming December 12-22, 2017. The results came after 2-working days of the final board exam. 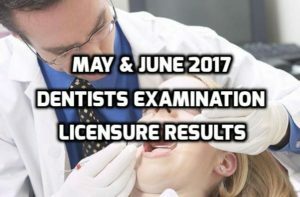 The Professional Regulation Commission (PRC) already released the list of successful passers for the May & June 2017 Dentists Licensure Examination. Out of 402 examinees, 394 passed the scheduled exam after 2 days of the final licensure examination for the Practical Phase. The OIC and members of the PRC Board of Dentistry administered the exams headed by Dr. Rannier F. Reyes, Dr. Melinda L. Garcia, Dr. Maria Jona D. Godoy, Dr. Gloria M. Bumanlag and Dr. Roberto M. Tajonera. The commission provided the assigned test centers within Metro Manila. As for the Written Phase, 857 took the examination and 397 passed the board. Now that the recent Dentist Licensure exams have been concluded, it is time to reveal the results. 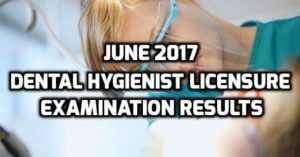 Congratulations to all the takers who have passed and will soon become registered dentists, and for those who failed, better luck next time. The Dentist Licensure exam is being held for students who have complete the whole college course to become a full-pledged professionals. The exams are devised to know the level of knowledge of the examinees when it comes to the profession, and how they have fully understood dentistry.